Bank customers who deal with a lot of coins are faced with an unwelcome change: It's getting harder to find free coin-counting services at banks. Two major banks, PNC and TD Bank, have discontinued the service at all of their branches, citing a combination of declining usage by customers and some serious inaccuracies that may have been shortchanging consumers for years. Both banks used Penny Arcade-branded machines that have well-documented accuracy issues, including those highlighted during an investigation by NBC's Today. One TD Bank coin-counting machine found during the investigation was off by more than $43 on $300 worth of coins. After the Today report came another headache for TD Bank: A coin-counting machine user in New York named Jeffrey Feinman initiated a class-action lawsuit against the bank on behalf of users who he says were shortchanged. Following the report, TD Bank suspended the machines, finally deciding that they wouldn't be bringing them back. "After much consideration, we determined that it is difficult to ensure a consistently great experience for our customers," a spokeswoman for the bank says. "In addition, the use of coin-counting machines has declined steadily over the past few years. As a result, we have made the decision to retire Penny and provide alternative coin-counting solutions for our customers." That makes sense to Ron Shevlin, director of research at Cornerstone Advisors, a financial services consulting firm. He says it all comes down to one question for the bank: "How many people are we really going to tick off if we don't bring these machines back?" His guess is, not many. "I'm not saying that the need for these things goes away; it's just I've got to believe that the percentage of customers who are going to be affected by this is minimal," Shevlin says. Unfortunately for frequent users of coin-counting services, the "alternative coin-counting solutions" banks are offering at this point mostly boil down to "do it yourself." Chase, PNC and TD Bank offer free coin wrappers to customers and tellers will accept rolled coins, but that's about it. BBandT is now the largest bank that will continue to offer the service, which is free for customers for amounts of coins under $25, but carries a 5% fee once you exceed that amount. Some smaller banks and credit unions will also continue to offer the service, Shevlin says. MB Financial Bank, based in Chicago, will continue to offer coin-counting services, says a spokeswoman. Although they've been around for decades, coin-counting machines became a popular customer perk in the 2000s with the rise of New Jersey-based Commerce Bank, says Shevlin. The idea was to get customers to come into the branch to use the machines, and then use that as an opportunity to sell them on bank services, Shevlin says. "Because they were so branch-centric, and to a large extent still are very branch-centric, I think they were one of the first to have the coin counters in there and really treated it as a benefit to consumers -- 'Hey, we've got it for free. Come in here, throw your coins in there, guess how much it is and if you're within a certain amount you'll get a little prize,'" Shevlin says. But even before their accuracy issues became apparent, the popularity of coin-counting machines in banks was beginning to fade. Chase discontinued its teller-managed coin-counting service last year, and PNC, citing lack of customer use and other factors, began phasing them out last year before discontinuing them completely in April. Why that is comes down to a number of factors, says Shevlin. Foot traffic in bank branches has been in a downward trend for a while, meaning fewer bank customers coming in who might make use of the machines. On top of that, the coin counters face competition from 20,000 Coinstar kiosks in grocery and big-box stores across the country. "If you're not going to go to the branch as often as you used to, do you really want to make a special trip just to cash in your coins?" Shevlin says. "If you know you're going to cash in $5 worth of pennies and be able to use that directly when you go in to buy your groceries and stuff, it's more convenient." 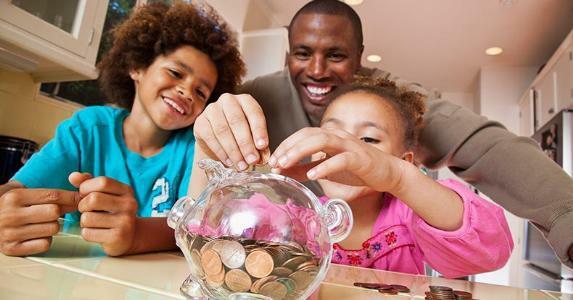 Get some interest on your savings beginning today by shopping money market accounts.